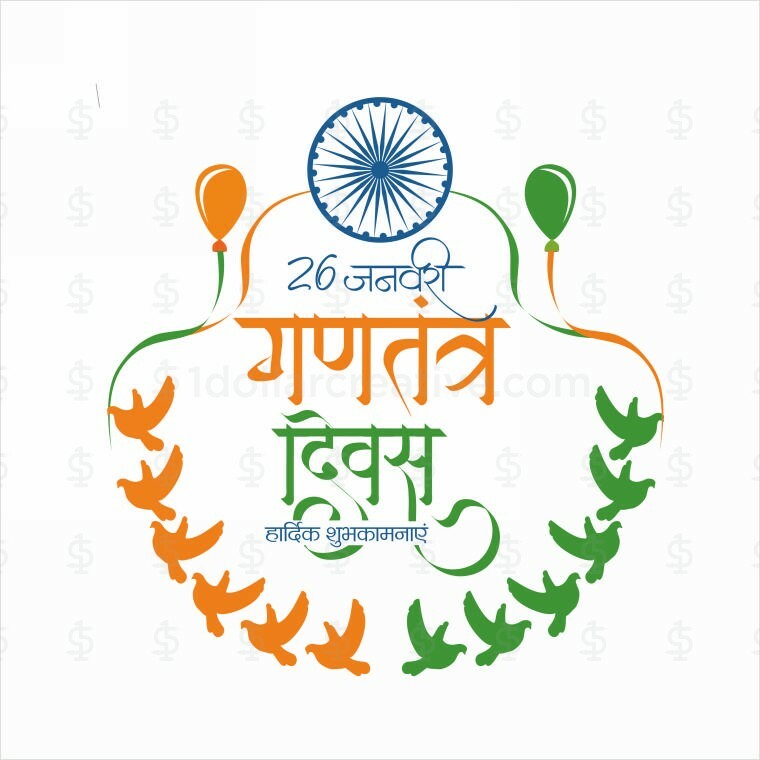 26 January Gantantra Diwas “Happy Republic Day” calligraphy in Hindi with tri color of Indian flag. 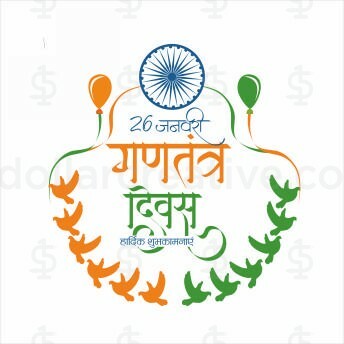 High quality vector 26 January Gantantra Diwas “Happy Republic Day” calligraphy in Hindi with tri color of Indian flag template is unique in style. This kind of template can be used in invitation, brochure, banners, print ads or for any media. Indian Buyer can use Instamojo for payments. Keep me connected with updates, and offers. Get your favorite design !!! Find out your dream design from our database and buy it for your project.